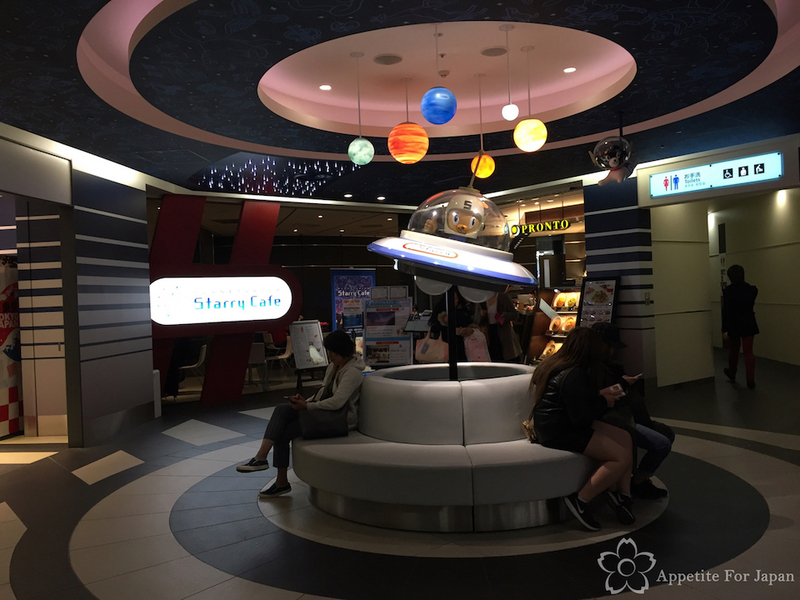 Not to be confused with Tokyo’s Planetarium Bar, Planetarium Starry Cafe is a place to relax and have a bite to eat and maybe a cocktail before you board your international flight. 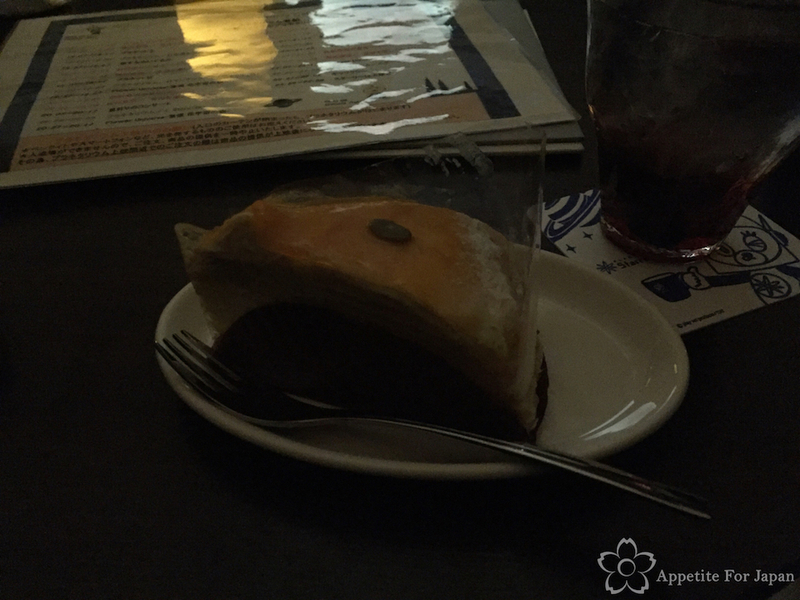 You can order savoury meals at Planetarium Starry Cafe, or smaller snacks and desserts. 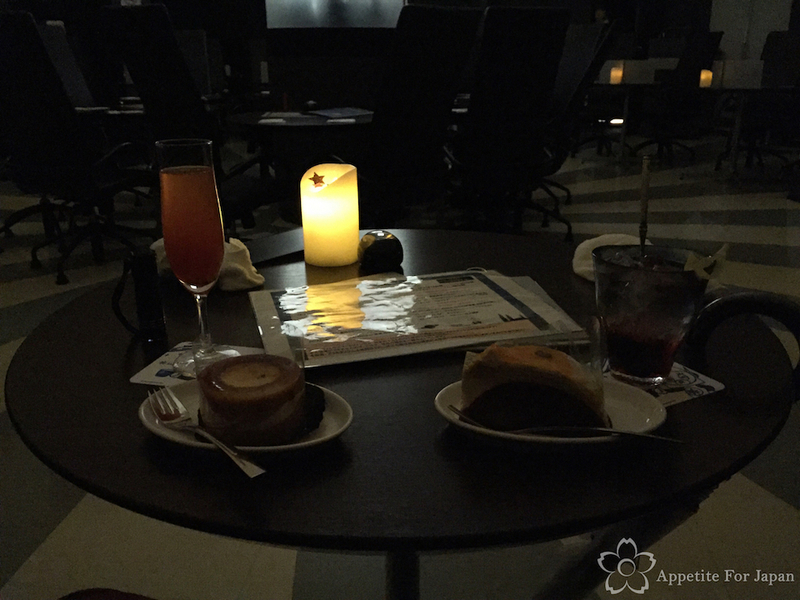 Not wanting a large meal before our flight, we both had a dessert with our cocktails. 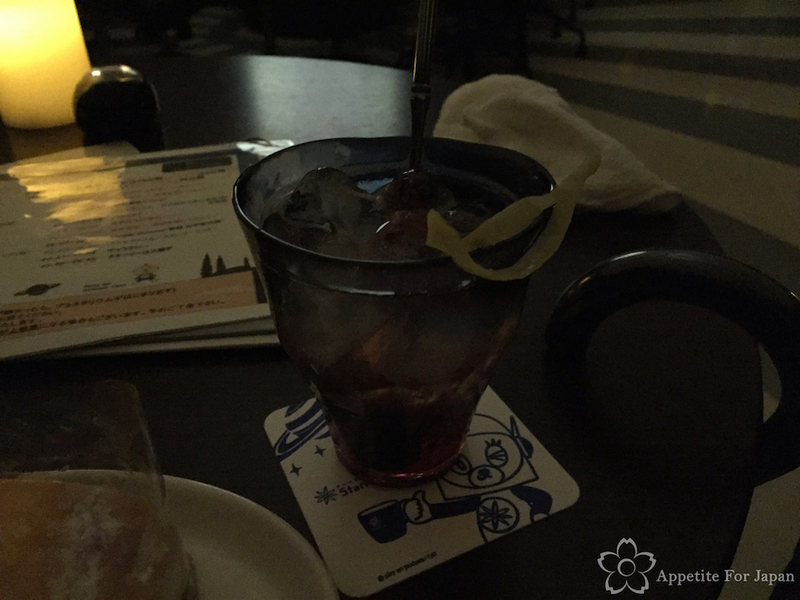 At 800 Yen, the Starry Butterfly ‘original cocktail’ is a pretty standard price for a Japanese cocktail. It was nothing to write home about, but I’ll take what I can get at an airport before an overnight flight. If you don’t want to go into the planetarium but you still want to eat at the cafe, there is also an area outside the planetarium section with tables and chairs where you can dine instead, just behind the sign in the above photo. 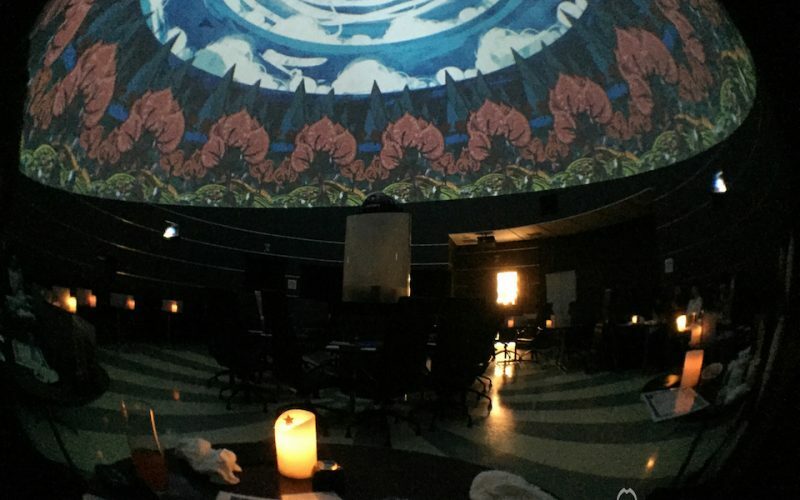 Why would you want to eat outside the planetarium? Aside from avoiding the fee to enter the planetarium, the some of the food costs more if you order in the planetarium. Then again, like all theme cafes, you’re paying for the experience as much as for the food itself. The fee to enter Planetarium Starry Cafe is 520 Yen per adult (high school students and above) and 310 Yen per child (2 years and over). They offer meal sets as well as the option of buying food or drinks individually, and prices are fairly standard. 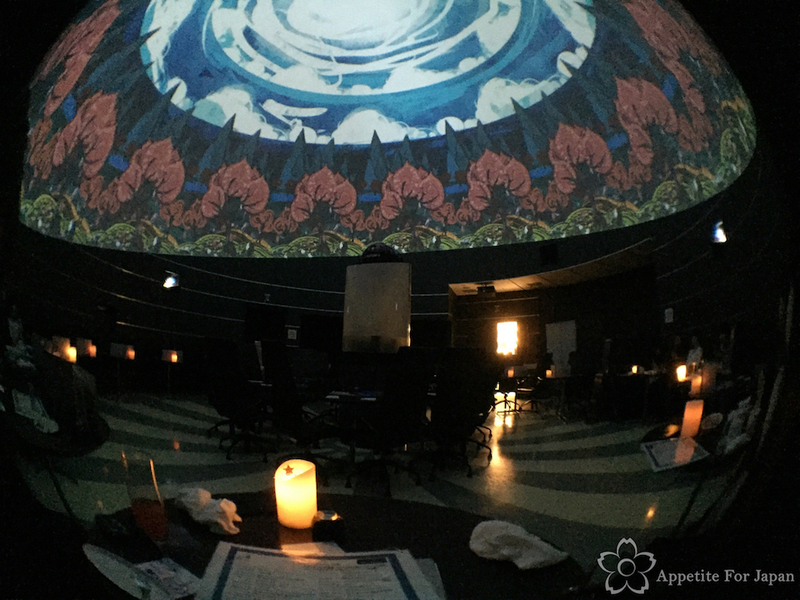 Whilst inside the Planetarium Cafe Starry, you can watch short, arty animated films and projections of the stars on the large domed ceiling above. The films run from around 10 to 20 minutes each, during which time guests are prohibited from using illuminated devices (such as phones and cameras), entering or exiting, or placing orders. The latter rules are for safety, as it is very dark while the films are playing, and of course for the enjoyment of other customers. In amongst the menu, you’ll find the list of film times, so you can keep track of when you can get up, order food, etc. 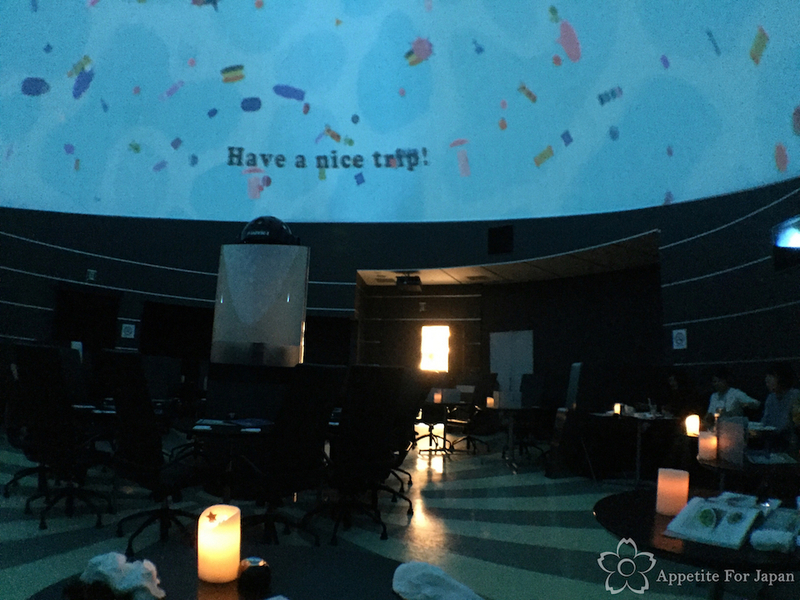 Would I recommend Planetarium Starry Cafe? If you’re waiting to board an international flight from Haneda Airport and you have an hour or more to kill, then it’s worth checking out. It certainly beats wandering aimlessly around the airport, and it’s quite relaxing. 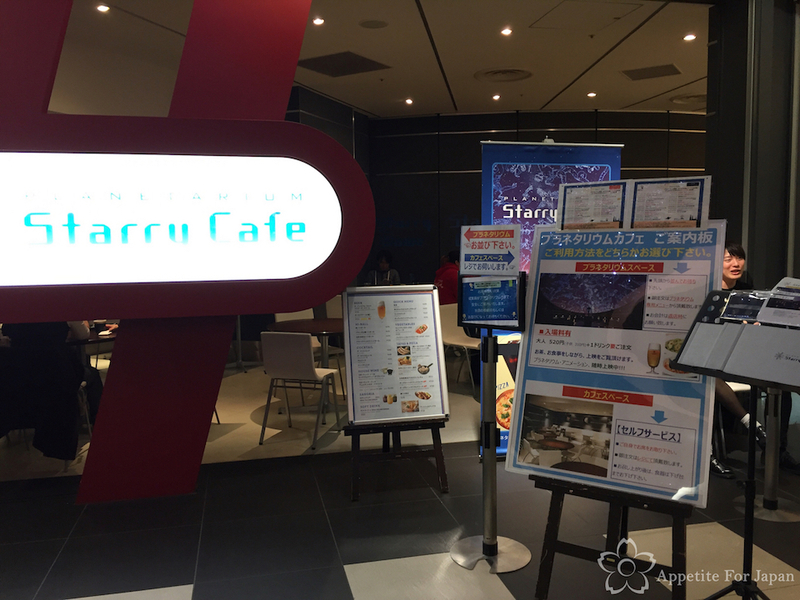 Planetarium Starry Cafe is inside Haneda Airport’s International Terminal. After you check in your luggage, head to the 5th floor and proceed through to ‘Tokyo Pop Town’. Website: Click here for the basic English version or here for the Japanese version, or view the digital brochure here.